The congress dates are 29 May to 2nd June 2018. 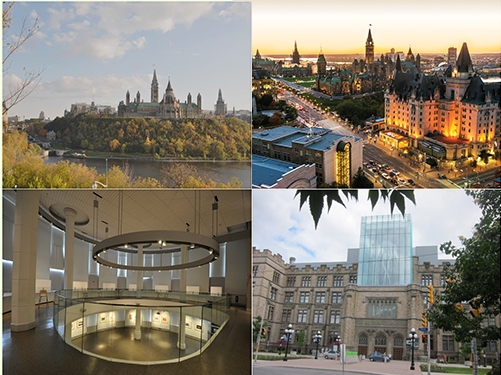 The Canadian Museum of Nature will host the medal exhibition and the lectures. In 2018, the city of Ottawa and the CMN are celebrating the centenary of eligibility of Canadian women to vote. The CMN building was used in 1918 by the Canadian Parliament due to a fire in the House of Parliament. It was in this building that the law of women’s emancipation was enacted. Because of this the CMN has requested that for this Congress the artists follow a theme in the production of their medals, the general FIDEM theme for medals is “Women” and the category of "Women in Science” is a condition of FIDEM exhibiting medals at the Museum. More information concerning this congress will be posted here.